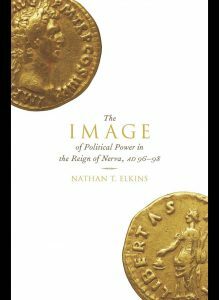 Nathan T. Elkins, The Image of Political Power in the Reign of Nerva, AD 96-98 (Oxford and New York: Oxford University Press, 2017). At age 65, Nerva assumed the role of emperor of Rome; just sixteen months later, his reign ended with his death. Nerva’s short reign robbed his regime of the opportunity for the emperor’s imperial image to be defined in building or monumental art, leaving seemingly little for the art historian or archaeologist to consider. In view of this, studies of Nerva primarily focus on the historical circumstances governing his reign with respect to the few relevant literary sources. 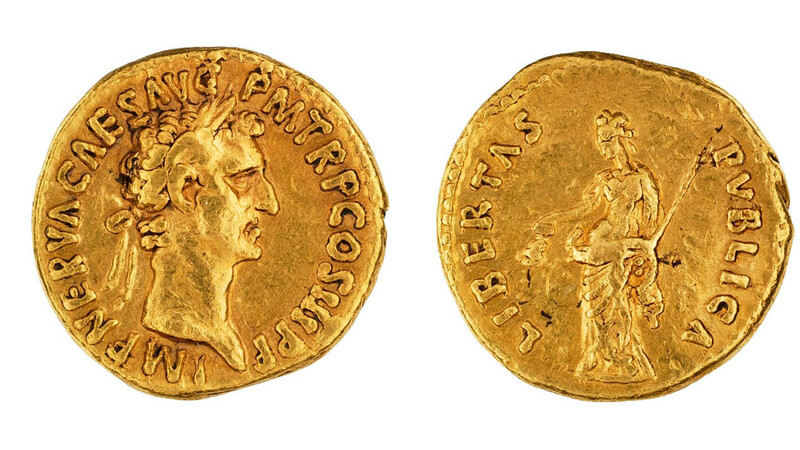 This book, by contrast, takes the entire imperial coinage program issued by the mint of Rome to examine the “self-representation,” and, by extension, the policies and ideals of Nerva’s regime. The brevity of Nerva’s reign and the problems of retrospection caused by privileging posthumous literary sources make coinage one of the only ways of reconstructing anything of his image and ideology as it was disseminated and developed at the end of the first century during the emperor’s lifetime. The iconography of this coinage, and the popularity and spread of different iconographic types-as determined by study of hoards and finds, and as targeted towards different ancient constituencies-offers a more positive take on a little-studied emperor. Across three chapters, Elkins traces the different reverse types and how they would have resonated with their intended audiences, concluding with an examination of the parallels between text and coin iconography with previous and subsequent emperors. The Image of Political Power in the Reign of Nerva, AD 96-98 thus offers significant new perspectives on the agents behind the selection and formulation of iconography in the late first and early second century, showing how coinage can act as a visual panegyric similar to contemporary laudatory texts by tapping into how the inner circle of Nerva’s regime wished the emperor to be seen. Introduction: The Power of Images in the Reign of Nerva Chapter 1. Nerva as Supreme Military Commander Chapter 2. Nerva, The Senate and People of Rome, and Italy Chapter 3. Nerva and the Roman Empire Conclusion: The Visualization of Political Rhetoric Appendix 1. The Typological Makeup of Nerva’s Imperial Coin Emissions Appendix 2. Nerva’s Coin Types and Their Dates of Production Appendix 3. The Relative Frequencies of Denarius Types by Emission Appendix 4. Identifiable Base-Metal Coins and Their Regional Distribution (Hoards and Excavations) Bibliography Index. Further details may be found at https://global.oup.com/academic/product/the-image-of-political-power-in-the-reign-of-nerva-ad-96-98-9780190648039?cc=us&lang=en&.